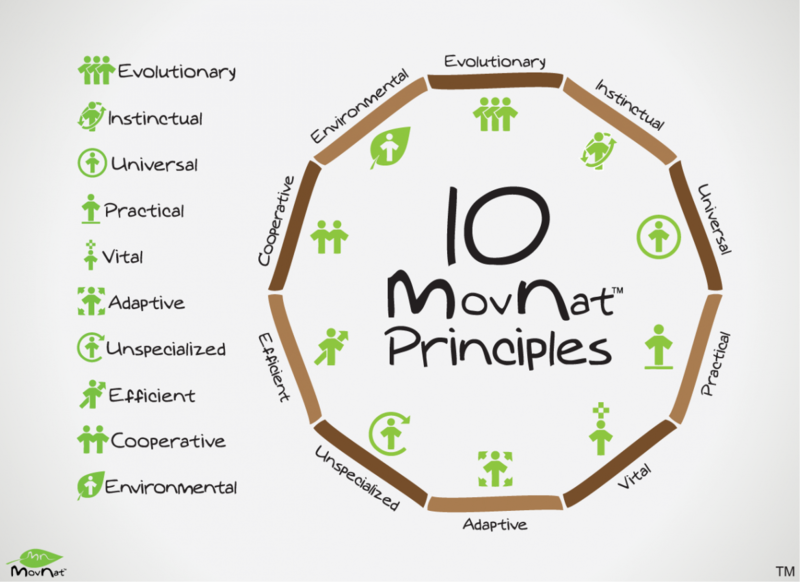 MovNat is all about real world, practical movement skills. From movements that you can use in your everyday life, to movements you may only have to use once in your life (but are vital nonetheless—maybe even more so). These range from ground movements all the way to combative movements and everything in between. And of course there’s overlap since they’re all natural human movements. 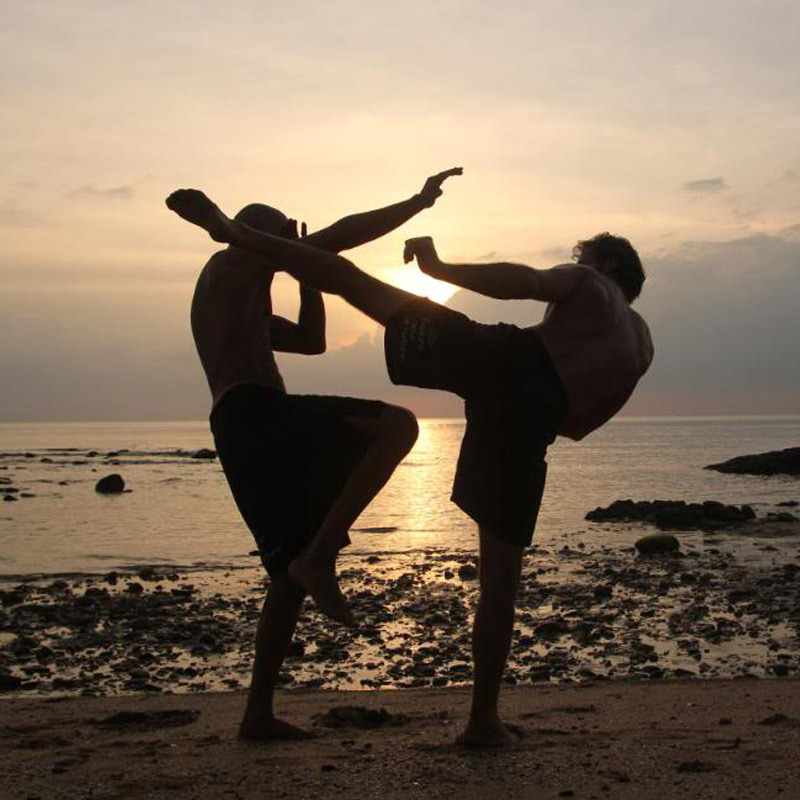 Unlike martial arts, the MovNat Combatives course is not something that needs to be practiced for many years before you can be competent enough to apply it. It’s concept based, so you can learn the mindset in a short amount of time and simply continue to practice on your own to stay sharp. It’s very pragmatic in it’s approach and avoids all the superfluous aspects, so you won’t be confused about its practicality. Effectiveness comes fast with the instinctual movements, but efficiency may take some time. No prior experience is required to take this course, but having a basic understanding of combatives and self-defense can help prime the brain and allow you to learn and assimilate the skills better. You don’t need to be strong or train ahead of time, but having a supple body that’s used to moving, and ready for anything, is always good a thing. Likewise, having mental fortitude helps in any situation, so be prepared for whatever might come your way. If this is something you don’t think you have yet, it’s definitely something you can take home from the course. Anyone can take this course and receive massive benefit from it, whether it’s mental (situational awareness), physical (movement skills), and/or emotional (self-confidence). Age, gender, and experience is irrelevant, staying true to the MovNat principal of being universal. After the course, you can keep your new skills sharp by practicing the techniques and scenarios with a friend or family member. I like to play situational awareness games on occasion to keep my mind sharp. For example, when in a public space, I’ll mention something I observe to a friend — maybe something that could be potentially dangerous (like a pocket knife) — and ask them if they can spot it. You can even play “I spy” with kids. It’s a fun and innocent way to observe your surroundings, and it will increase their environmental awareness at the same time. You can practice things like this by yourself, wherever you go. Survey your surroundings, know where the exits are, observe the people in the area — look at their hands, see what they are holding, notice their behavior, watch their gait, look for anomalies — and think of an action plan for various scenarios. But remember not to be too serious or obvious when doing this. There’s a story of two private investigators hired to watch people at an airport to spot any suspicious behavior, and in the end they reported each other. Don’t be the anomaly! If you love the idea of all of this but don’t want to be a trainer, or you just want to get more serious with your own training, you can find a MovNat Combatives Certified Trainer in your area with whom you can learn and practice the techniques with. They’ll have the eye to spot and correct any inefficiencies you may have. This is also a great way to get introduced to the concepts and techniques before biting the bullet and signing up for the full experience. You can find a trainer here. If you’re ready for the real deal, I’ll see you in February at this MovNat Combatives course with UFC fighter Carlos Condit. 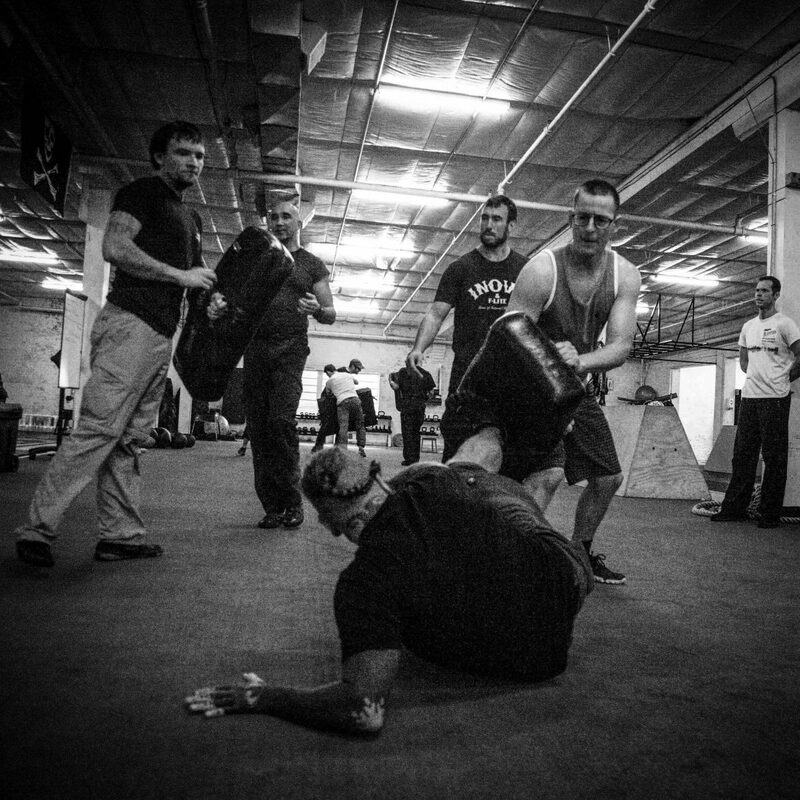 Or, check out the upcoming MovNat Combatives event in Europe. About the author: Nathan Amado is a MovNat Level 3 Certified Trainer, a MovNat Combatives Certified Trainer, and the founder of Original Human Movement in Dallas, Texas. i was fighting as professional Maui Thai. Hi Rudi. Get in touch with Christa (christa@movnat.com). She can help you.